Costa Rica is best known for its wild adventure tours, rugged rainforest and tropical beaches, and is not usually thought of as an accessible holiday destination for wheelchair users. That image is changing however, as Costa Rica’s tourism industry works to make the country’s famous attractions more accessible. More and more tourists are looking to enjoy disabled holidays in Costa Rica, and so far, reports are positive. The best time to visit Costa Rica is from mid-December to April (the dry season). This peak tourist season boasts plenty of sunshine making it an ideal time for exploring rainforests and lounging on beaches. That said, the dry season is the most popular time to visit. 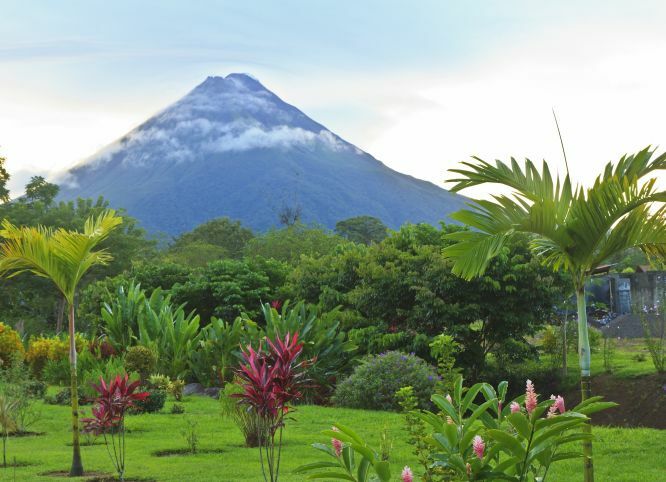 Flights to Costa Rica are available from many UK airports, however there are no direct flights. Stops include New York, Miami or Houston. Most international flights to Costa Rica arrive at either Juan Santamaria International Airport or Daniel Oduber Quiros International Airport (also known as Liberia International Airport). So if this has got you in the mood for a bit of sunshine, feel free to call us on 0800 622 6000 to speak to one of our experienced travel consultants about the best time for a wheelchair accessible holiday in the Costa Rica. This tiny sliver of Central America is a bit like a Russian doll when it comes to landscapes and wildlife. Reason being, just when you think you’ve seen the true face of Costa Rica, another crops up and takes you by surprise. There are palm-fringed beaches, lime-green jungles, cloud forests and that’s before you’ve even considered the cast of animals that call Costa Rica home – think toucans, humming birds, monkeys and tiny tree frogs. Enjoy long summer days on a secluded beach or discover the rich natural ecology of the area. The spectacular rainforest comes to life in the ‘green season’ with an explosion of colour and fragrances. Enjoy bird watching in Palo Verde National Park, spot wildlife in the Rincón de la Vieja National Park or see turtles nesting at Playa Grande. This is a disabled holiday perfect for nature lovers. Call 0800 622 6000 todays to speak to one of our experienced travel consultants about a disabled friendly holiday in Guanacaste. Jacó was the first town on the central Pacific coast to explode with tourist development and it remains a major draw for backpackers, surfers and city-weary josefinos (inhabitants of San José). Although working-class neighborhoods are nearby, open-air trinket shops and tour operators line the the lively main drag which, at night, is given over to a mix of students and surfers. With fantastic restaurants and bars, Jaco's lazy charm is likely to make your disabled holiday in Costa Rica a treat. Call 0800 622 6000 todays to speak to one of our experienced travel consultants about a disabled friendly holiday in Jaco. Take your time exploring historic neighborhoods such as Barrio Amón, where colonial mansions have been converted into contemporary art galleries, and Barrio Escalante, the city's gastronomic epicenter. Stroll with Saturday shoppers at the farmers market, join the Sunday crowds in Parque La Sabana, catch a live music show at one of the city's vibrant clubs, or visit the museums of gold, jade, art and natural history, and you'll begin to understand the multidimensional appeal of Costa Rica's largest city and cultural capital and why disabled holidays in San Jose are a must. Call 0800 622 6000 todays to speak to one of our experienced travel consultants about a disabled friendly holiday in San Jose.